With summer coming up, I’ve been curious about how Lake Travis’s current water level compares to it’s historic levels, so I graphed it real quick! * Note: Each data point is the average water level for that year. Our current level (2/10/2013) is 631.43ft. The lake is considered full at 681ft. That refers to it’s water level above mean sea level. The lake’s max depth is 210ft. Anyone who knows me knows I’ve become a little obsessed with metrics and analytics. (Have you seen my business dashboard?) Collecting and visualizing data can give you wonderful insights into your business and personal life. Knowledge and information brings control to chaos. It’s a powerful feeling knowing exactly what’s going on, and it can show you what you need to work on. Despite my obsession with analytics, I struggle deeply with perfectionism. Perfectionism can be the demise of financial projections, fitness plans, and marketing plans alike. I have found that I tend to obsess too much on how accurately and completely I collect my data. When it comes to analytics, the 80/20 rule holds up. * Typically the point to measuring and visualizing data is to help you address or discover a problem and come up with a solution. The problem is not how accurately and completely can you collect data, but how many new customers do you need to pay overhead, or how many fewer calories must you consume to lose weight. You simply need enough data to detect trends and make predictions. For example, I’m currently tracking my activity levels using a FitBit. I love this sort of passive data collection. However, one part of the FitBit I’ve been avoiding like the plague is calorie counting. It bothers me that recording a turkey sandwich doesn’t take into account that I’ve used low fat mayonnaise and 2% milk cheese. The thing I’ve struggled to come to terms with, is that reality and models are not the same thing. 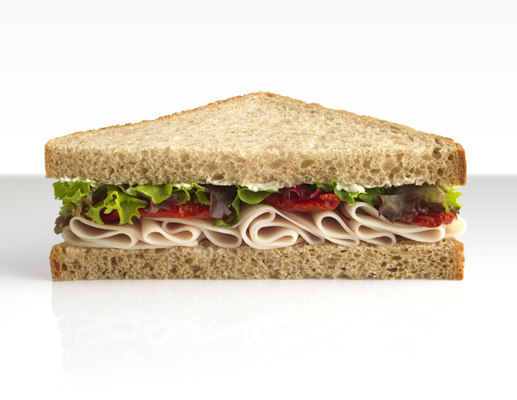 I’m not “cheating” myself by estimating the amount of calories that are in a turkey sandwich, nor does recording slightly too many calories change the fact that in reality I’m using low fat mayonnaise. These data points are simply there to illustrate the big picture. Obsessing about minutia creates unnecessary work, can lead to burnout, cause you to ovoid data collection all together, and in general won’t significantly affect the overall trends and solutions you can discover by collecting and analyzing data. The take away? Just like in creative endeavors, perfectionism can poison your analytical efforts. Relax. So your financial projections are off twenty bucks, you can still see the trends of your business. In most real world applications “good enough” produces results, while perfectionism causes paralysis. * side note: I should mention that some scientific experiments require a level of data accuracy greater than “good enough.” However, the analysis of most aspects of my business and life do not require such detailed data samples, and I suspect neither do most peoples. The newest release of PHPUnit 3.6 broke my unit test process in PHPStorm. PHPStorm is aware of the issue and is fixing it in the next update. However, in order to run my unit tests in the meantime I had to downgrade from PHPUnit 3.6 to 3.5.15, which was harder than it should’ve been. If you try installing PHPUnit-3.5.15 first, you’ll find PEAR forces you to install 3.6. The way around this is installing the old versions of all of the PHPUnit dependencies. First you need to uninstall PHPUnit 3.6 and all of it’s dependencies. Next install these specific versions of each dependency, in this order, installing PHPUnit-3.5.15 last.